The Japanese videogames industry has become a victim of its own success, and needs to find ways to bring new blood and new ideas into the business in order to get out of the current slump it finds itself in. Yoichi Wada told GamesIndustry.biz that as the chairman of Japan’s trade body, CESA, he intends to promote a greater exchange of ideas with games companies internationally, as well as with other media industries. 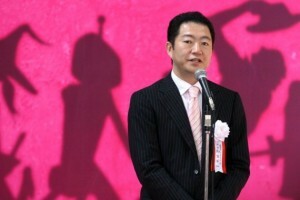 “From the developer side, the Japanese games industry became so successful that we didn’t recruit new people,” he said. “So today, if you look at the main creators of games, they’re already in their late thirties. “When you look at the industry in the US, the industry has attracted some very talented people from, say, computer science and the film industries – so people from different sectors came into the industry and that kept the market vital, succeeding in creating new products. “But in Japan the old people are doing the same old job – and even the so-called new people… there are some people that you’d call ‘game geeks’ but it was a very closed world. ” Recruiterblog points out that Interactive Selection is the only games recruiter with an established office in Japan. Anyone interested in working in Japan needs to contact Anne Marie Anetts, MD Asia Pacific.